What a special piece. 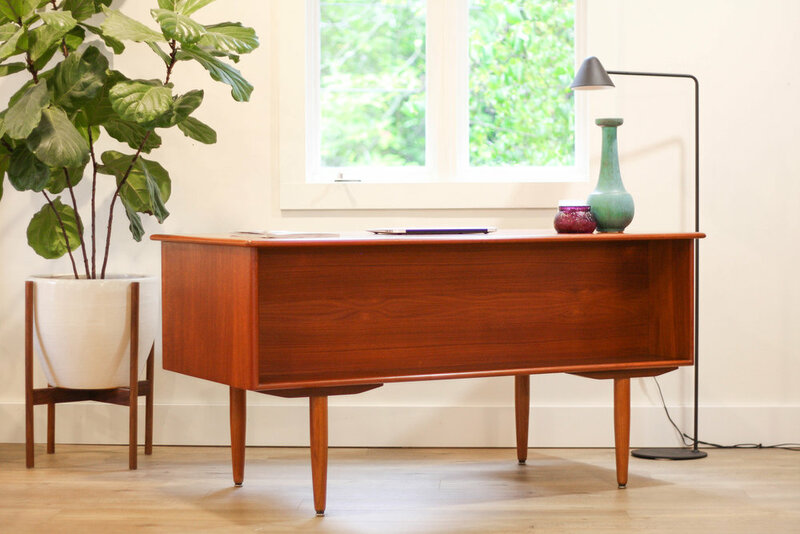 This teak fully finished desk was designed by Falster Mobelfabrik of Denmark and is a true Scandinavian beauty. The desk features three drawers on the left, and three on the right, all crafted with sculpted handmade drawer pulls. On the backside of the desk there is a large bookshelf to display your beautiful decor. The fully finished backside means this desk can either be placed against a wall or float out in the middle of a room. 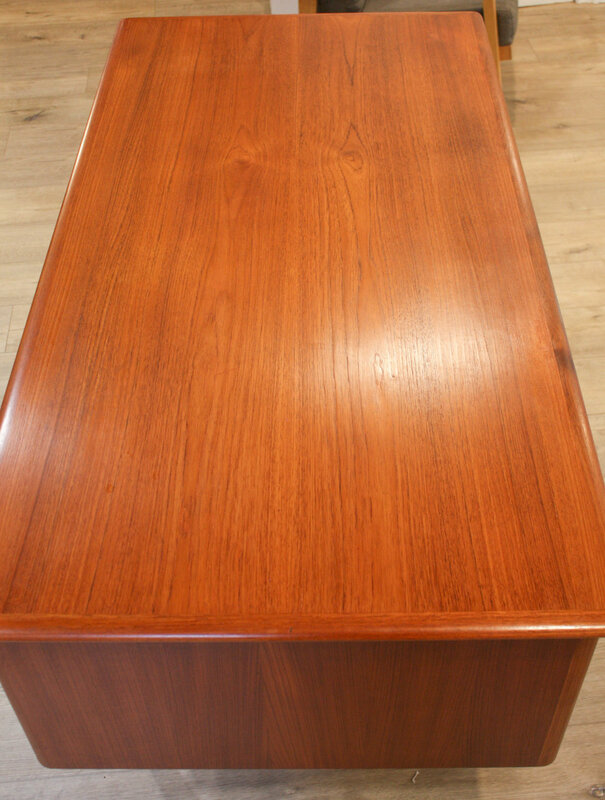 The desk is in good vintage condition with light signs of use to the top and other surface areas, minor veneer rub through shown in close up desk photo, we took pictures from all angles as they tell the story best.